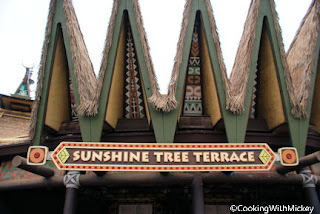 Sunshine Tree Terrace is located next to The Enchanted Tiki Room in Adventureland. 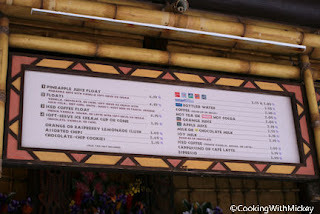 This Polynesian bar-style restaurant severs refreshing ice cream treats and drinks. Menu Items: pineapple juice float, floats, iced coffee float, citrus swirl, soft-service ice cream cup or cone and orange or raspberry lemonade slush.